In South Africa, we often need to keep our cars stored neatly and securely away. Not only do they need to be sheltered from harsh weather conditions but they also need to be kept safe from any drivers who could possibly bump our cars if they were parked on the street or even passers-by who may break in! This is why we are going to explore some very impressive garage ideas today, by top professionals from around the world. 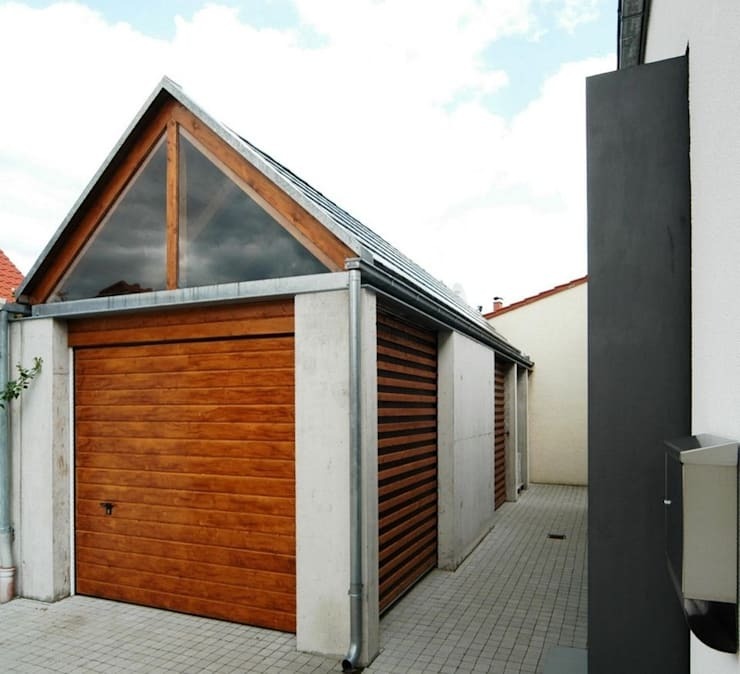 These will give us wonderful ideas when it comes to garage designs for our own homes as well as show us how garages can completely enhance the look and feel of the facade! In fact garages can be a huge advantage to an exterior design, neatly packaging it and adding a whole new dimension to the space. In this design, we come across a pergola garage structure, which brings trend and style to the look and feel of the home. 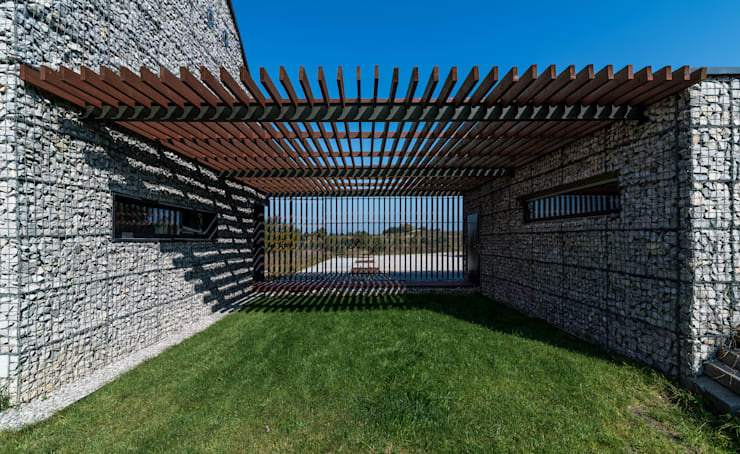 The wooden slats contrast beautifully with the stone cladding, enhancing the earthy tones of the architecture. This adds a rustic touch! These earthy tones also complement the green grass, which is quite unique for the flooring of a garage, yet very refreshing. In this image, we come across a simple design with clean lines and minimalist precision. A concrete slab extends over the car port, giving this space the perfect amount of shelter without closing the area off. 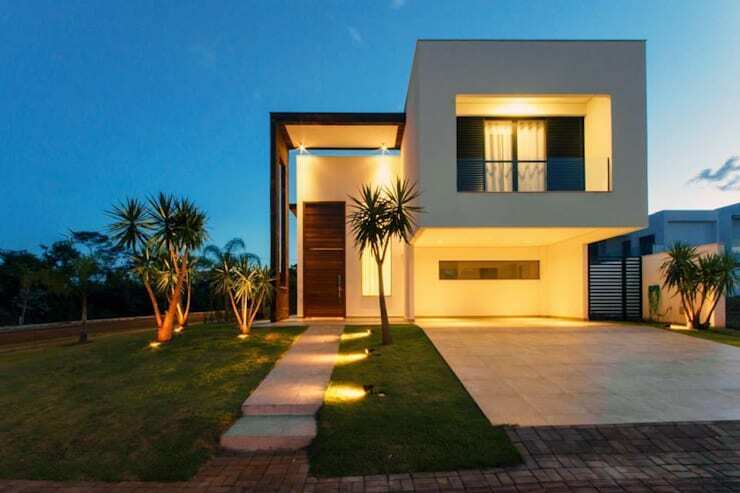 Lights illuminate the space, allowing the family to see where they are going no matter what time of the night they come home! This design is very similar to what we saw before, but it features a tiled roof that extends out from the architectural structure to provide shelter for the car. This adds a little Tuscan touch to the facade design, as well as a bit of colour and texture. This garage is very unique and original. The designers have gone for a charcoal black steel cube, which features a glass door. This space doubles up as a garage and an outdoor terrace. This is a great way to maximise this type of structure! Why not create a garage structure out of wooden slats, which creates a country-style look and feel to this very functional feature! Don't you love how it contrasts beautifully with the dark garage door? 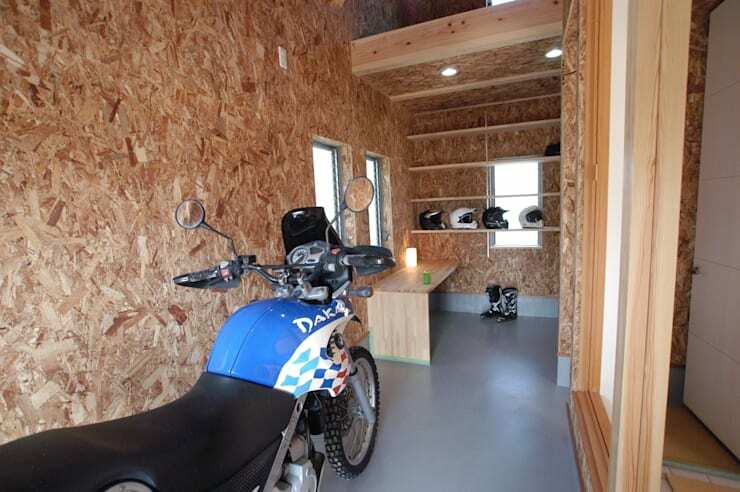 We love our cars, bicycles and other vehicles so much, why not build a house specifically for it. This gable roof design is very sweet and charming, while enhancing the overall look and feel of the home design. The glass sheets at the top of the building allow sunlight and fresh air to flow into this space, keeping those petrol smells ventilated. This design shows us how we can really have a bit of fun with our garage design, looking after our precious vehicles. The cork interior creates a safe and protected space where our cars will be safe and snug. Have a look at these other garage products to see what see how else you can spruce up this space. Often we go for more rustic designs when it comes to our garage design, but why not go for a more clean and fresh look and feel? In this image, we can see how the white tones create a minimalist design that is very refreshing. The garage looks spacious and bright. We end off our research into this diverse range of garages by examining this very slick garage design. Don't you love how the garage roof extends over the car port with pillars that make a V shape? 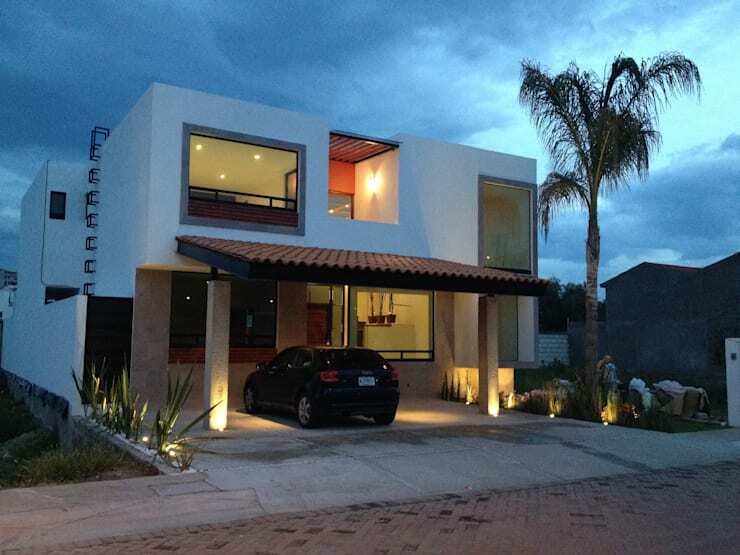 This a modern and elegant design that only does the home good! 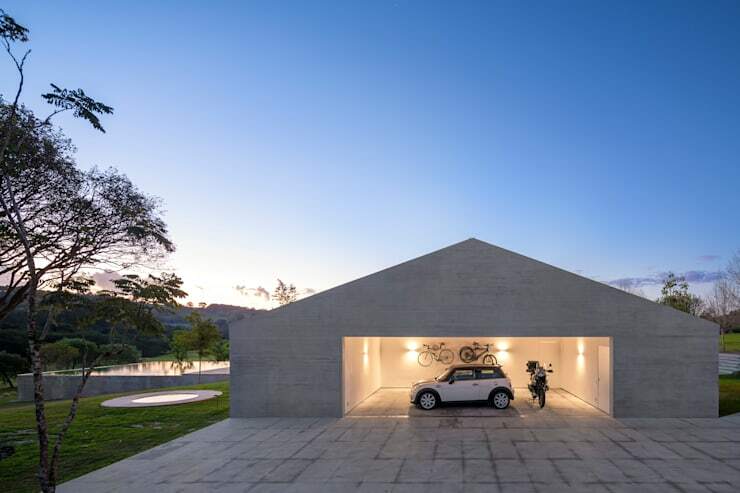 If you liked this ideabook, you'll love these 6 extraordinary garages to protect your car. 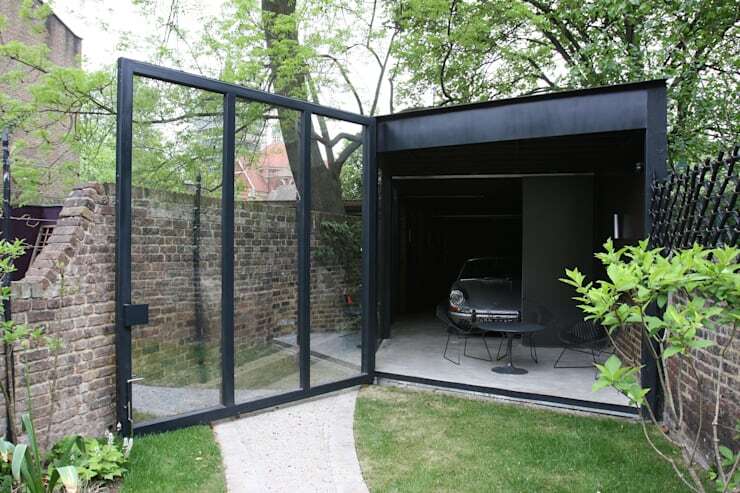 Which is your favourite garage design?